RTL type at AM replaced by RT. Sunday extended from Plumstead Garage via 122A to Erith. Withdrawn between Plumstead Garage and Erith - 122A re-introduced. Sunday Plumstead (AM) allocation withdrawn. Plumstead (AM) allocation converted to Routemaster operation. New Cross (NX) allocation converted to Routemaster operation. Saturday Plumstead (AM) allocation withdrawn. Scania double deck replace RM type. MD144 seen in New Kent Road ? Sunday Route diverted at Plumstead Common to new PD garage. MS extended from Camden Town to Parliament Hill Fields replacing withdrawn section of Route 3. Daily Plumstead (PD) allocation added. RM1727 appears a little scruffy this Sunday in Camden Town. Out as PD243 on route 53, it's scheduled for a through run to Plumstead Station then back home to Plumstead garage. RM194 is seen on the stand at Parliament Hill Fields off Highgate Road. On the roster as NX4 on route 53, a brand new Optare with London Country North West from a base in Muswell Hill is out on the C2, introduced on this day, can be seen also waiting in the rain. 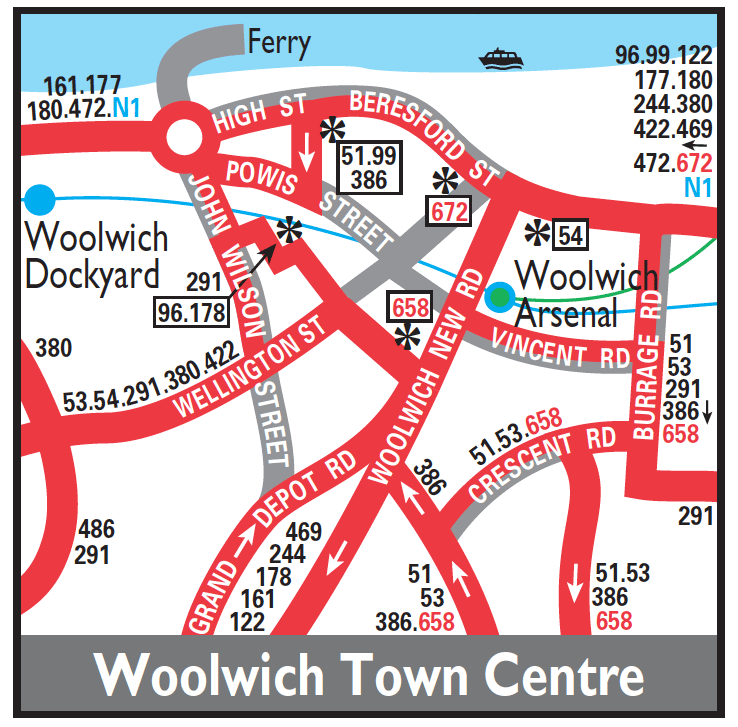 These two routes could be seen side-by-side at this location for just two weeks before the 53 was cut back to Camden Town. Sunday New Cross (NX) allocation withdrawn.